Storey Sport - About Alison - Be Strong. Do it. Reap the rewards. The person who will guide the process of your experience with Storey Sport. To be fair, Alison began life in the fitness industry as a kid with no TV - keen to do any sport that was on offer. It seemed there was never any question that being involved in sport, fitness and nutrition would become her calling & her passion. Her drive to help others reap the benefits of regular exercise and a healthy diet knows no bounds, and establishing her own Personal Training business Storey Sport in 2006 was the realisation of a goal. Her passion for exercise comes from her sporting background and years of encouragement and support from her Olympic medal winning father Dudley Storey, from a mother who was one of the first women to compete for NZ in Rowing, and a grandfather who was a Dutch National cycling champion (so there was really no avoiding such a fate!). Having worked in the exercise industry for over two decades has provided opportunities to work with people at all levels of fitness and mobility; retirees, executives, business owners, skiers, fire-fighters, race car drivers, rugby sevens players, teenage hockey players, people recovering from surgery and those with inhibited mobility. Alison has twice won the New Zealand Personal Trainer of the Year at the Exercise Industry Awards. She started her athletic career in Rhythmical Gymnastics, competing for New Zealand in her teenage years, before joining the family in taking up rowing. As part of the NZ Rowing Team, Alison & her crewmates won a Commonwealth Gold Medal in the coxless four in 2002. In 2011 she was selected to represent New Zealand in a third sport, as part of the Olympic Qualification NZ Beach Volleyball Team. A battle with anaemia through most of 2013 & 2014 necessitated something quieter in the way of sport and so she took up competitive Archery for a few years resulting in a top 3 NZ ranking. 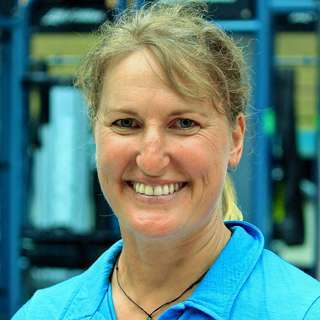 She then moved into the pro-bono role of S&C coach for Archery New Zealand and attended the Youth Olympic Games in 2018 as part of the support staff for the New Zealand team. Whilst a member of the NZ Rowing Team she studied extramurally toward a Graduate Diploma in Sport Management with Massey University, and also completed study in Human Nutrition in 2010. She finally completed the Bachelors Degree in Sport & Exercise (Management & Coaching) that she started one paper at a time in the Rowing team, in 2014. Alison is also a regular columnist for the Cambridge Edition and Inspo Fitness Journal, and Storey Sport is a proud sponsor of the Waipa District Youth Sports Awards and the Waipa Fun Run. We believe that the keys to successful long term change are a positive attitude and a strong self-belief in committing to realistic and achievable goals, and with our expert help and advice we make it happen. Read Alison's regular articles online at Fitness Journal!